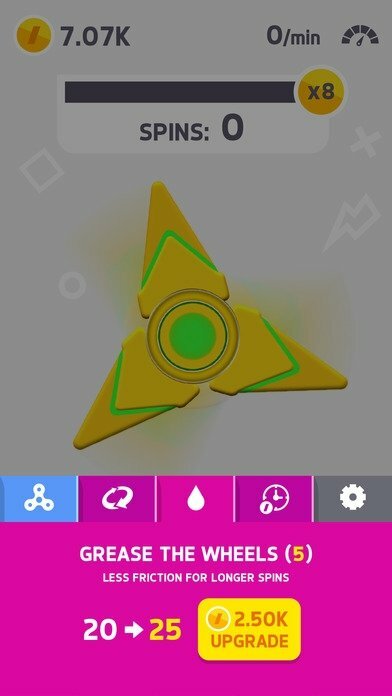 Fidget Spinner, Hand Spinner, or as in this case, Finger Spinner. 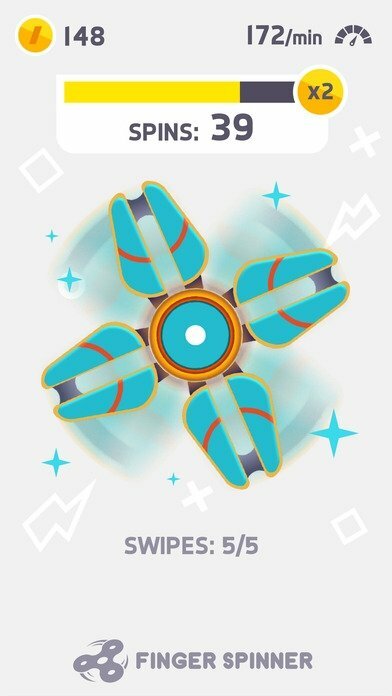 One of the trendiest toys at present, famous for its simplicity, receives several different names: we're talking about two or three blades that just spin on a bearing and that we have to rotate while we hold it with two fingers. This analog pastime that seems so simple is the rage among teenagers that can't stop playing with it. 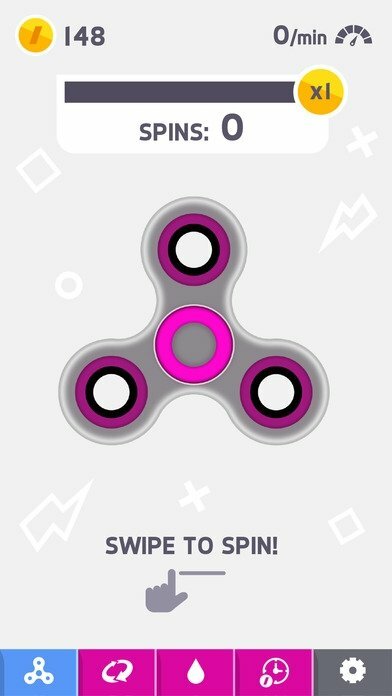 As couldn't be otherwise, simulators for Android and iPhone have soon appeared on the market, as is the case of this Finger Spinner. And obviously, the French game studio Ketchapp, known for developing some of the most popular casual games, couldn't go without releasing its own version for Apple's mobile devices. In this iOS adaptation, the game comes along with a few extras, such as a speed indicator, a spin counter, and other functions such as rewards or the possibility to choose between several models to make the game even more interesting. 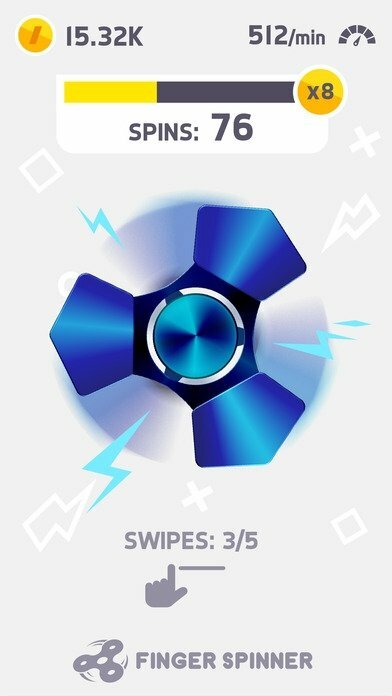 The best fidget spinner version for iPhone. 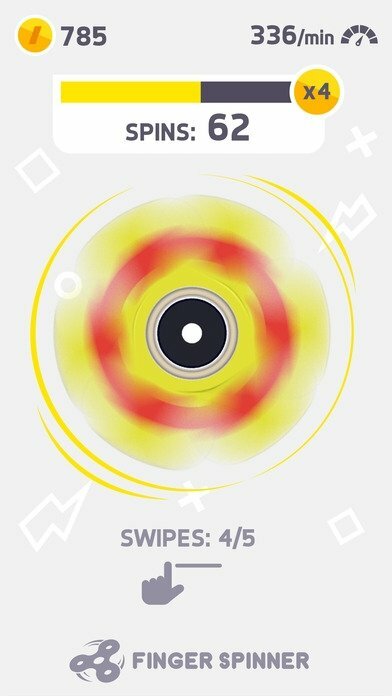 One of its main advantages is that you can compete against your friends to see who's the best spinning his hand spinner, but you can also get hold of new spinners if you manage to increase your score and overcome certain levels.